This week on This is Rammy we interview Louise Fletcher who I met on local networking event, “Friday Night Networking”. Louise’s family has a business supplying wholesale foods down in Ramsbottom and she’s a regular in the town’s pubs and restaurants including The Eagle and Child for the monthly networking event. 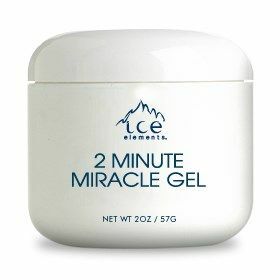 Based locally, Louise is a UK supplier of Ice Elements 2 Minute Miracle Gel and she is hosting a free event at Bury Football Club on August the 20th for anyone who wants to try the product and find out a bit more about it. This week also saw the last copy of Espresso News printed and distributed amongst the 35 businesses in Ramsbottom. Espresso News, as most people know was the local newsletter produced by Jennifer and it’s Espresso News that really helped This is Rammy get on it’s way. Without Jennifer’s encouragement, enthusiasm and contacts, This is Rammy would likely not be around today, at least not as a podcast. Today, August 16th 2015 there is a plant sale happening in Nuttall Park, it starts from 11am until 2pm and you will have the amazing opportunity to own some of the plants that were part of the gold medal winning garden at the Tatton Flower Show. I’ll be there later on recording a future podcast episode, and I hope you’re able to make it. As mentioned, the UK Podcasters awards are taking place on September 12th at The Midland Hotel in Manchester. We still need all your votes, so please if you’ve not voted yet, vote for us at https://thisisrammy.co.uk/awards and thank you very much for every one of you who has voted and even if you don’t, thank you for continuing to listen, it’s dedicated listeners like you that makes this award possible. You can book tickets to come to the awards and party for £30 each, see if using the promo code podcast nabs you 20% off though, worth a shot. A link to the tickets page is below.